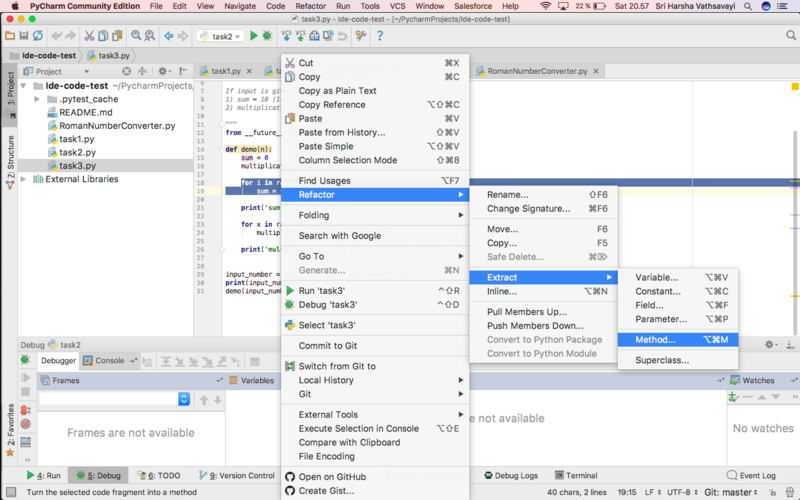 In this lesson we will give overview of an IDE and its functionality. 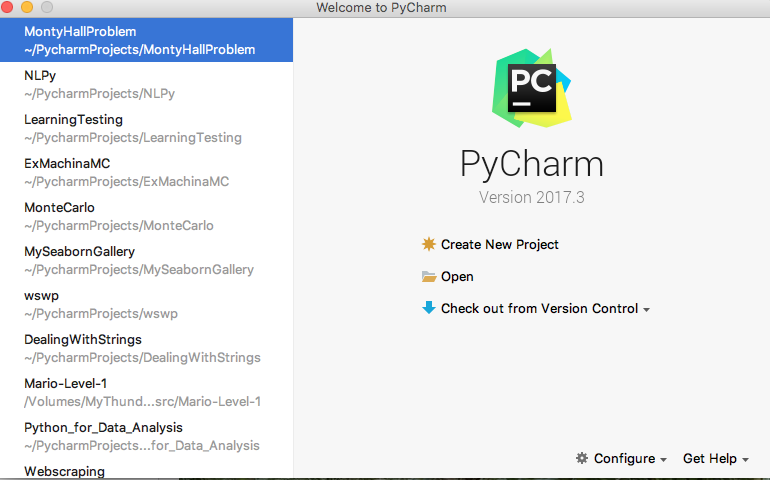 We have selected PyCharm as the IDE to demonstrate the use of Integrated Development Environments. 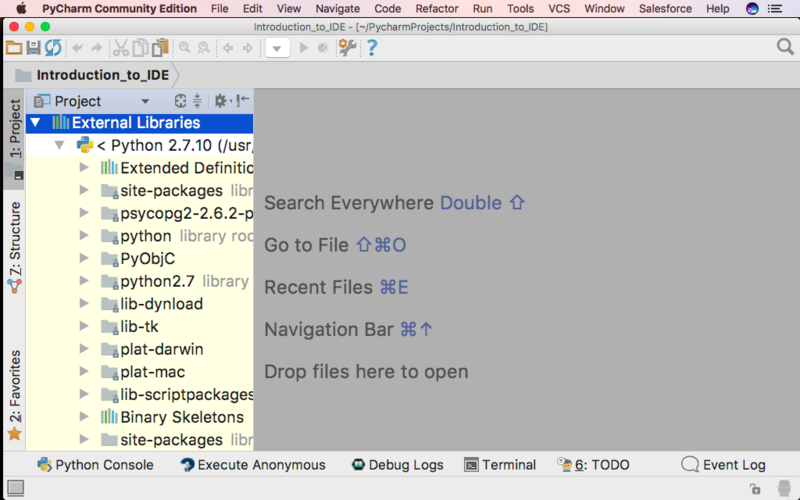 We want to show you how IDEs integrate features necessary for developing code. 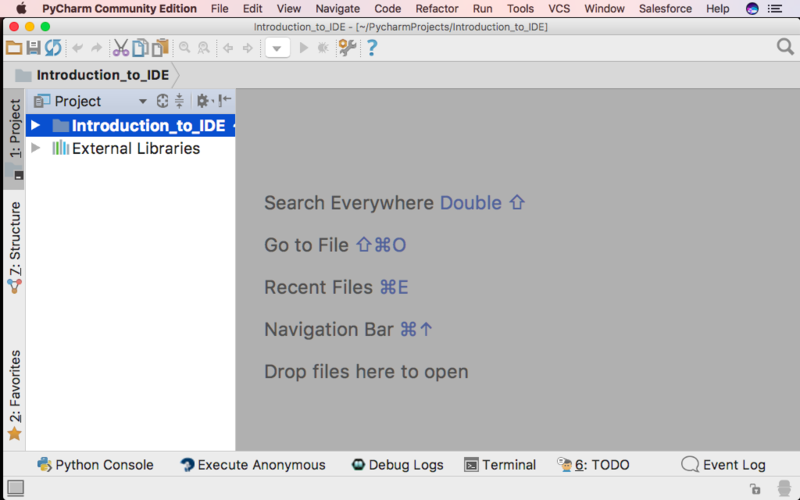 Note: Most of the IDEs offer similar features and support the functionality that we discuss in this lesson. This demonstration is relevant for other IDEs as well. We start by creating a project. The screen is divided in a project area and a gray canvas. This is currently an empty project. It contains the default setup for a project with a Python Interpreter. If you double click on “External Libraries”, you will see your Python Environment. Note, if you want to remove a view select the “Black&&White”-vertical bar. For a horizontal view, there will be a corresonding horizontal bar. The file can be executed by selecting “Run”->”Run”. The output from the execution will disappear by select the “Red X”. How do you track tasks that require feedback/attention from other researchers? First run the demo program normally, to experience its behavior. The program asks for input. The actual result deviates from the expected result. Let us debug the code by placing breakpoints. Set breakpoints in the program by pointing the mouse on the line you want to examine and push the mouse button. Execute the program under the control of the debugger. Select “Run”->”Debug”. Note, that there is two “Debug”. First time you run something in the debugger, you need to select the lower one in the dialog. 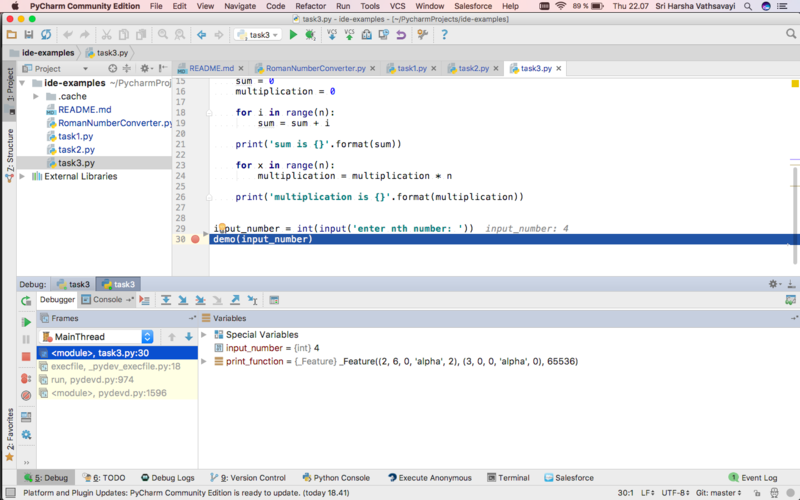 In the code, the state of the variables are printed. 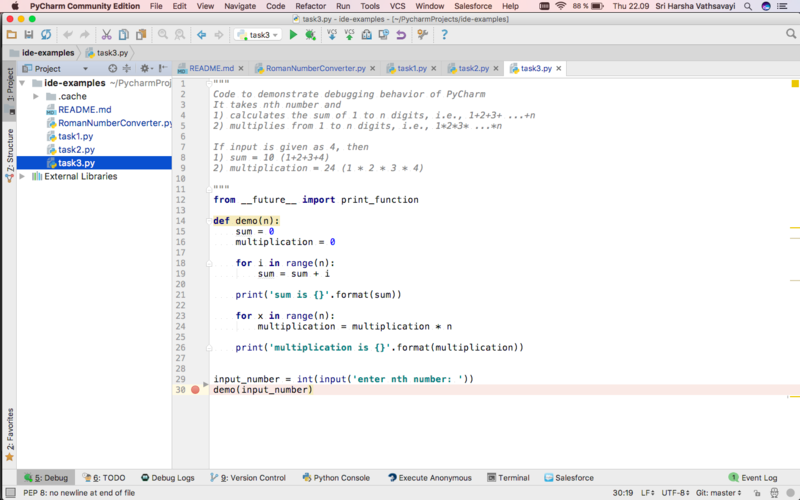 PyCharm call this inline debugging and it is a replacement for your print statements, which you would otherwise add to the code for getting the state of different variables. By selecting the green “Play”-button, the code will execute to the next break point. 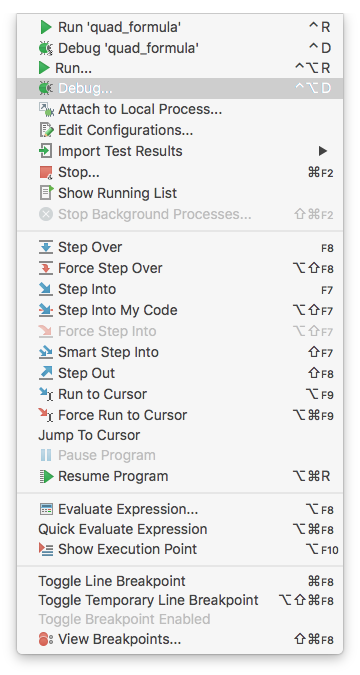 The view provides several stepping “buttons”, use the one with a red line through it, “Step into my code”. See how the variables are updated inline. How do you normally divide existing code into functions? Click file README.md and add some text to it. Click Show editor and preview on the right upper corner.